Horses are incredibly talented animals, but do you ever really think about how many different things horses can do well? They can run, jump, navigate bridges, ford rivers, herd cattle, and more - and that's just the beginning. Horses are highly versatile, and equine versatility competitions were created in order to prove just that. According to EquiSearch, equine versatility competitions originally began when cowboys got together to prove whose horse could truly "do it all." Today, equine versatility takes on a more organized form, with official competitions held all over the country. There are even associations, like the American Ranch Horse Association, which work to increase the presence of equine agility in the United States. An equine agility competition is highly demanding of both horse and rider. The horse must be skilled, calm, and confident enough to navigate a wide variety of obstacles, as you'll see in the video below. 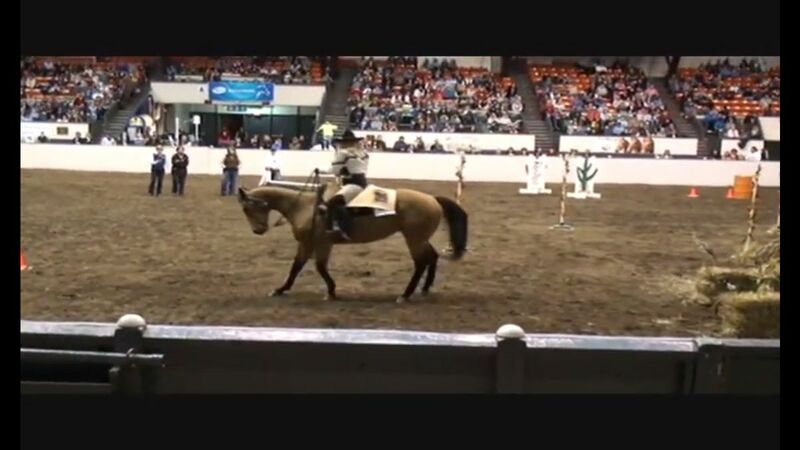 You never know just what you'll face when you step into the versatility ring, and a successful horse must be able to navigate the obstacles that are presented to him. But versatility competitions are more than just fun. They help to identify horses which would make valuable working horses. A working or ranch horse must be able to do any number of different tasks, and he must do them well. The more versatile a horse is, the more helpful he can be in a working setting. Versatility competitions remind us of how special horses are, and they point out those horses which are truly talented in many different areas. Training a horse for versatility is a great way to put a good foundation on the horse. As you present a horse with different obstacles and questions, he learns to trust and listen to his rider. His confidence improves, and with some time and training, you can increase a horse's versatility and practical usefulness around the ranch.